Are European cities ready to take on this challenge? We interviewed representatives of Covenant signatory cities that have already developed their own long-term roadmaps. This week, the City of Talinn tells us more about how they envision their city in 2050. Could you tell us about your city’s 2050 vision? How does being part of the Covenant of Mayors help you fulfil your ambitions? “Smart mobility enables an enjoyable living environment in Tallinn 2050”, where city planning and mobility are at the centre. Being part of the EU Covenant of Mayors also means taking specific commitments in the climate and energy field. The vision "Tallinn 2050" is one of the tool that will help us reach the Covenant of Mayors targets. 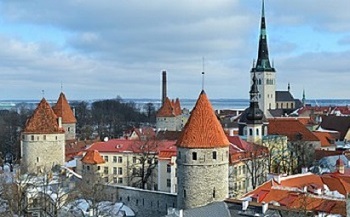 The vision also contributes to the development of new energy policies and strategies in Tallinn. How did you elaborate your vision? Our vision was developed as part of the EU funded project Roadmaps for Energy (R4E). With the help of Eindhoven Technical University, we organised several workshops and seminars with various stakeholders, with the aim to gather inputs from different people. These seminars brought together a wide range of experts from different fields. Interviews with policy makers in Tallinn were conducted in the very beginning and all workshops were attended by experts from NGOs, state agencies, city government and businesses to get different perspectives and collect various experiences. The structure of each workshop and seminar was similar, to familiarise the participants with the process and collect their opinions, ideas and knowledge in the most effective way. During the first workshops the ambitions for Tallinn were determined, after that the future scenarios were mapped together with the stakeholders. In the end we put the ambitions and future scenarios together to create the “Smart Mobility” and “Smart Buildings in Tallinn 2050” visions. What is the next step for Tallinn now that the city’s vision has been developed? The visions will be included in Tallinn 2030+ Development Plan. We will also use them for the preparation of Tallinn’s Sustainable Energy and Climate Action Plan 2030. Learn more on Tallinn's 2050 vision.